The book that made my 3 and half year old twins fall head over heels in love with chapter books. and each chapter about 7-8 pages. 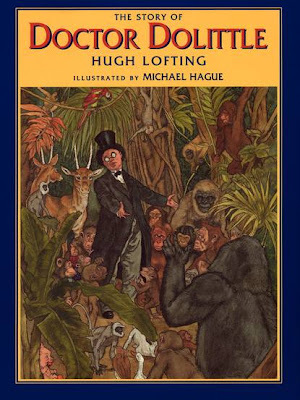 Previously we had read a couple of chapter books that they enjoyed immensely - Two Times the Fun and Three Tales of My Father's Dragon - but this was the one that closed the deal. The Enchanted Wood (the first of the three Faraway Tree books) steamrolled its way straight into the hearts of my two little pumpkins. Although it didn't surprise me, I guess their mom was caught unprepared! Three year olds running after me around the house, asking for one, two, three more chapters? More, more!! When you chose an early read-aloud chapter book for your kids, leave this delicate job to a professional. My kids did not stand a chance. Yes, I take my hat off to this lady. Most kids who read Blytons - they never forgot the experience. 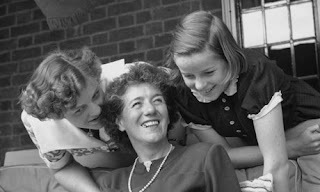 "It is a pity that some parents do not introduce Enid Blyton’s stories to their kids anymore. They are now in all those educational stuffs and focused too much on IQ, EQ and all the blehs of modern times. Many wants their children to read encyclopedias and stuffs like that to make their kids brighter and smarter, thus robbing off the magical world of childhood." I still remember the summer of 1980, when I was 10 years old. My 13-year old brother and I went together to England for a month-long summer school in Royal Leamington Spa. Yep, our parents sent just us the two of us travelling overseas by airplane to a summer school. Crazy. It was possible. Those were the days. Today authorities would probably take us aside at the airport thinking we were .... well, who knows what they would think. Leamington Spa (I don't remember the "Royal" part was part of the town's name back then) was great, but what made it really memorable was the fact that we dragged home a suitcase full of Enid Blyton's paperbacks. 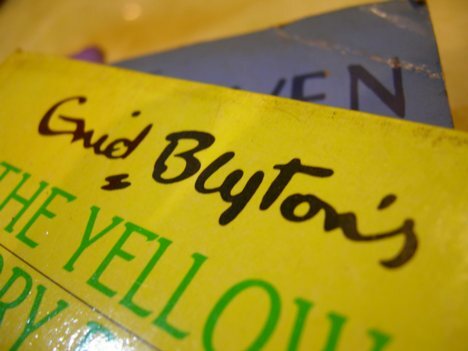 We spent all our pocket money on Blyton books and we were in a hurry back home .. to read them! Our bounty consisted mostly of the the Famous Five (21 novels, 1942–1963, based on four children and their dog), the Five Find-Outers and Dog, (15 novels, 1943–1961, where five children regularly outwit the local police) as well as the Secret Seven (15 novels, 1949–1963, a society of seven children who solve various mysteries). I've got good news for my twins, I saved all my Enid Blyton's. Yep, my babies - you still don't know about this treasure that is waiting for you! More than a hundred Blytons are currently waiting in a bookcase in my mom's garage, until someone comes to pick them up. I'm going to make that trip soon! 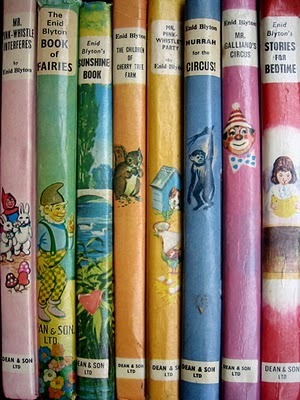 And should I admit to you now that I already bought some four dozen new Blytons for my home library? Better not. We are reading them already. Oh those Blyton books. They were like an addiction. It's not just me, I'm not the only one who is fondly remembering Enid. 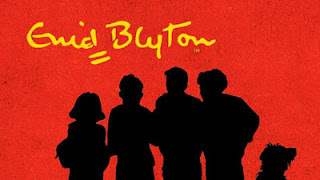 Blyton certainly is one of the most successful children's storytellers of the twentieth century. Lets just check what does the United Nations Educational, Scientific and Cultural Organization (UNESCO) say about Enid Blyton? Yep, Blyton beats the Grimm brothers, Hans Christian Andersen, Barbara Cartland, Stephen King and the Bible. Ooops. That's one mighty lady. Blyton wrote more than 700 stories over a 40-year career and her books have sold more than 500million copies. A research, commissioned to mark the 2008 Costa Book Awards in the UK, asked 2,000 adults to name their favourite authors. 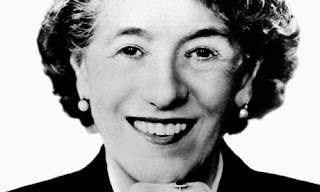 Enid Blyton was named the most loved author of all time. 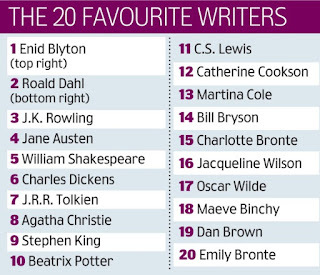 Only two contemporary writers - Rowling and Stephen King - made it into the top ten. 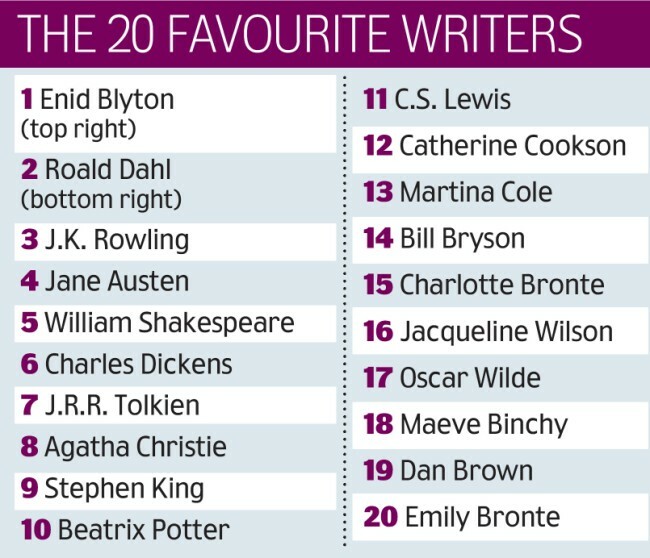 Jane Austen was fourth, William Shakespeare fifth, Charles Dickens sixth and J.R.R. Tolkien seventh. Her persona is admittedly controversial and her books were allegedly not the favorites of many English librarians, but that's another story for another day. I had decided a long time ago that The Enchanted Wood was going to be the "chapter book ice breaker" for my twins, but I was waiting for the right moment. several days. So, we already introduced read-alouds that could be "broken up" into several days. One day, I simply knew they were ready. What I wasn't ready for - is how The Enchanted Wood swooped me up into the story too, as I never read it before. called Jo, Bessie and Fanny. so they were all to move as soon as they possibly could. As one reviewer somewhere said: "This is an underated book, just because Enid Blyton is considered out of fashion". I couldn't agree more. Since we finished reading The Enchanted Wood and its fantastic sequels The Magic Faraway Tree and The Folk of The Faraway Tree, I've been bombarded by requests from my twins to re-read them. I'm saving this trio of books them as a treat. Maybe for a birthday? I don't know. In The Enchanted Wood, the three children Jo, Bessie and Fanny (or Joe, Beth and Frannie - in the new politically corrected version of the book that was published recently) move to live in the countryside. 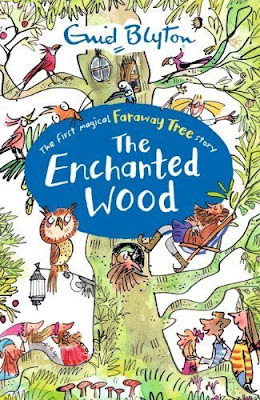 Their incredible adventure start when they start exploring The Enchanted Wood and discover the Faraway Tree, which is inhabited by fairy folk. Please, the Land of Birthdays, Land of Toys and Dame Slap's school! These are funny, exciting, magical adventures that will delight children again and again. What-You-Want or the Land of Goodies. Even in these good lands our protagonists still face adversities and challenges that they overcome with the help of their friends from the Faraway Tree. In addition to the heroic Moon-Face (who is like the best friend you could imagine), charming fairy Silky (a gentle soul that is the very image of goodness), funny and half-deaf Saucepanman (who carries saucepans and pots hanging around him), there is a wide range of colorful characters in this book that will capture the imagination of your listeners. From the Angry Pixie to Dame Wash-a-lot, Dame Slap to Mr Watzisname! My son was fascinated with the tasty Pop Biscuits (Pop Cakes in the new version) and Google Buns and Toffee Shocks - I will not reveal their secret powers! Finally, inside the Faraway Tree - Moon-Face operates an incredible spiral slide that goes from the top to the bottom. The Slippery Slip! Try to find a kid that will not get all excited about a ride on the Slippery Slip! I dare you! Blyton world is a magic world of children's adventures outside the watchful eye of adults. It is a world of complete freedom and possibilities. A world that your kids deserve to experience as soon as possible. Let them taste this sort of freedom even in the hyper-regulated 21 century, if nothing else - through a book. Have you read Enid Blyton? I'd love to hear your thoughts! Or check out Audible audio editions of The Enchanted Wood (read marvelously by Kate Winslet) books below. I included links to all three books on purpose because we listened to them over and over again in the car on our holidays. My twins simply loved Kate Winslet's reading of the Enchanted Wood trilogy - so I can't give you a higher recommendation than that! you recommend only the best of the best. about it. And I can’t find anything online. Thank you for your wonderful website! You are doing a great job! I’ve bought so many books based on your recommendations! 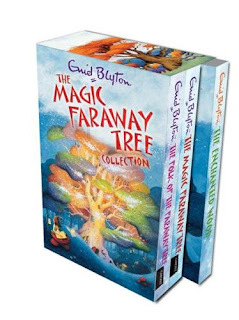 I have a little question about this The Magic Faraway Tree Collection. Do these books have nice illustrations? For some reason you didn’t mention anything about it. And I can’t find anything online.